Relatives of Jennifer and Sarah Hart have reportedly said in court documents that two of the women’s missing adopted children are “presumed dead” in court documents aiming to settle the sale of the Hart family home in Woodland, Washington. The Oregonian obtained court documents showing that relatives of Jennifer Hart and Sarah Hart are looking to settle the estate of the deceased women, and want to sell the home where the family was living at the time of the fatal SUV plunge on March 26. The outcome of the investigation into the apparent murder-suicide that killed six members of the Hart family will likely impact how the estate is distributed, the court filings reportedly say. 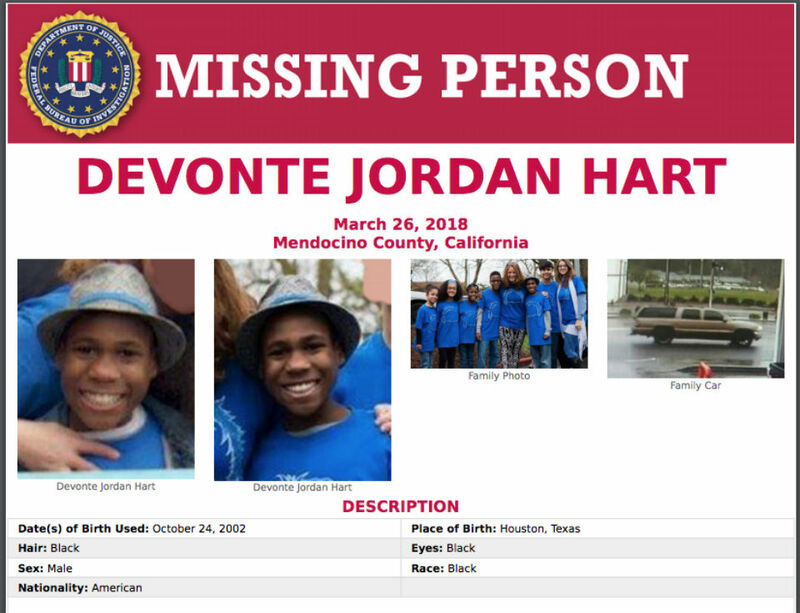 The documents also show that the relatives are petitioning for a death certificate for Devonte Hart, 15, who remains missing along with his adopted sister, Hannah Hart, 16. Remains appearing to belong to a female child were discovered in early May, and authorities are still working to identify them. Representatives from the Mendocino County Sheriff’s Office have previously told CrimeOnline that the coroner could not conclusively determine if the remains belong to missing Hannah Hart based on the available comparison samples, and that the office is working with agencies in Texas, where the Hart children were living at the time of their adoptions, to help identify and locate Hannah’s biological relatives. While Lt. Barney told CrimeOnline last week that investigators in his office have not conclusively determined that all six adopted Hart children were in the car at the time of the fatal SUV crash, he told the Oregonian that investigators will not resume searching for Hannah and Devonte Hart without a new tip. He had previously avoided answering CrimeOnline’s question about whether his office was actively searching for the missing children. An estate lawyer representing Sarah and Jennifer Hart’s relatives did not immediately respond to CrimeOnline‘s request for comment.